Will there be upgrades available for the new Explorer, Pioneer and Smart Kits? We are planning to launch the new upgrades in 2019. Please subscribe to our newsletter to stay up to date and be the first to know when they are released. We are committed to modularity and are looking to offer upgrades for existing customers as soon as possible. Will the Junior, Creator and Master Creator Kits be back in stock? We are not planning to have our legacy kits back in the lineup. We now offer great new kits with even more possibilities. Will the Upgrades for the Go, Junior, Creator and Master Creator Kit be back in stock? We are planning to offer upgrades from our legacy kits to the new kits (Explorer, Pioneer, Smart, Genius, Master & Legend) in 2019. What materials are used for the Infento parts? 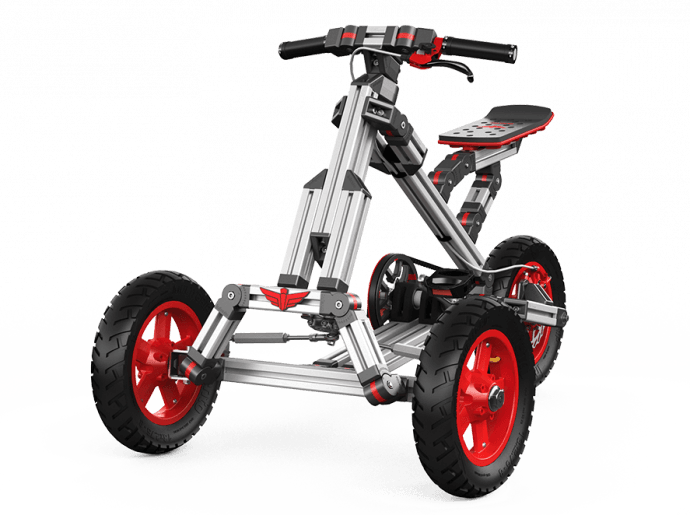 Infento mainly exists out of aluminium profiles, galvanized steel fasteners and glass fiber reinforced plastic joints. Will you be offering a hard case storage system in the future? The carton board boxes work as a storage box. But if you like something more sturdy and waterproof, we can fulfil this wish in the future. Right now we are working on a hard case storage system. But the design is still in the early stage and it will take some time before you can buy it in our shop. It’s on our to do list though. We are looking for a smart and durable solution that is also affordable. For what age ranges are the Infento Kits suitable? This depends on the height of the child, but taking into account the average height, these are the age ranges for our kits: Go Kit: 2-6 years, Whizz Kit: 2-6 years, Junior Kit: 1-7 years, Inventor Kit: 2-11 years, Creator Kit: 1-11 years, Master Creator Kit: 1-13 years, Junior Snow Add-On: 1-7 years, Big Snow Add-On: 4+ years. What is the weight of an Infento kit? Lightest one is the Go Kit with 20 pounds (approximately 9 kilos). The Whizz Kit is 30.9 pounds (14 kg). The complete box with all the Junior kit parts weighs almost 47 pounds (just over 21 kilos). 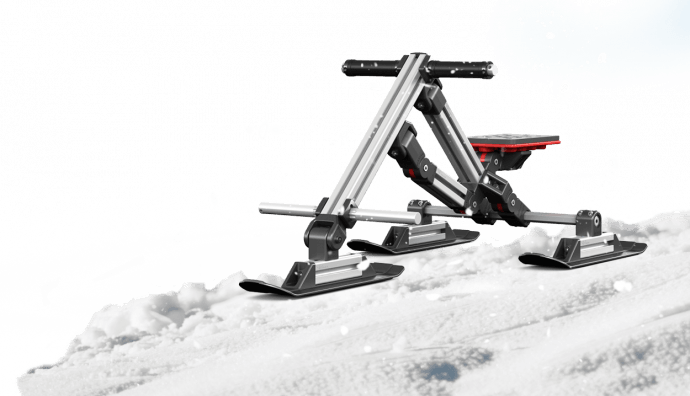 The Inventor Kit weighs 60.6 pounds (27,5 kg). A Creator kit is 96.6 pounds (43.8 kg), and the Master Creator is the champ with almost 116 pounds (52.5 kg). Value and kilos for money. What are the average building times for each ride? What is the size of an Infento kit? The Go Kit comes in one box measuring 39x17x2.75 inch (99×43,5×7 cm). The Whizz Kit fits in one box of 39x17x7.5 inch (99×43,5×19 cm). A Junior kit consists of one shipping carton of approximately 39x17x7.3 inch (99×43,5×18.5 cm). An Inventor Kits measures 39x17x7.5 inch (99×43,5×19 cm). A Creator kit has 2 cartons; a Junior plus a Creator carton that measures 39x17x6 inch (99×43,5×15 cm), and the Master Creator kit also has 2; the Junior carton plus the Master Creator carton and that last one is 39x17x7.3 (99×43,5×18,5 cm). Sizes of the height of the boxes can slightly vary. When ordering a Snow Add-On, the height of the cartons will increase a few centimeters. Length and width will stay the same. What is the maximum rider weight for each model? What kind of parts can I find in your kits? Can I build more rides from 1 kit simultaneously? No, you can build 1 ride from 1 kit. If you would like to build a new ride, you deconstruct the one you’ve built and then you construct another one. In the future you will be able to purchase extra parts from our online shop. That way you can easily build multiple rides simultaneously without having to buy a whole extra kit. Yes, but this is only possible when we didn’t ship your order yet. We accept Visa, American Express, Mastercard, Paypal, Sofort, iDEAL, Bancontact and Giropay. We have a shipping cost calculator when you fill in your address after you’ve put a kit in your cart at the checkout. Yes, our carrier will send you a tracking number, so you can check the whereabouts of your order. How do you pack an Infento Kit? 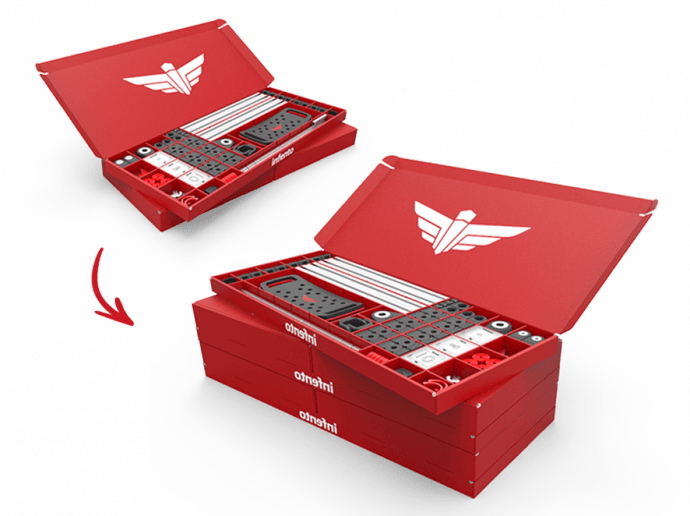 Your Kit is packed in the red Infento boxes, and for shipping we use sturdy brown outer boxes. A Junior Kit consists of 1 brown package, a Creator or Master Creator Kit contains more parts, and is packed in 2 outer boxes. At the moment, we deliver our products in the US, Canada and EU. We hope to expand to the rest of the world in 2018. You can stay up to date by signing up for our newsletter at the bottom of our homepage, or following us on Facebook. Can I return my Infento kit? You can return your kit, within 30 days from the day you received it, if in new and unused condition. The shipping costs associated with returning the kit is at your own charge and the kit must be packed in the original boxes, including the brown outer box. You can find the manuals at the bottom of the page where we show the details of your kit or on the support page. What is Infento’s warranty policy? We give a one year warranty on our products. My Infento kit is missing a part, what should I do? You can check the components overview to see if you have received all the parts in your kit. Please check this before building. If you are clearly missing a piece, just mail us at support@infentorides.com and we can further assist you. I have lost a nut or bolt, what to do? Infento uses a lot of fasteners that can be sourced from your local hardware store. For Infento specific parts, please contact us, so we can help you out. When will the spare parts webshop open? We are working on the spare parts webshop and aim to open this year. Can I be a distributor in my country? No, we only sell our kits online directly to the consumer. This way we can keep the cost of our kits as low as possible. Do you sell your kits in physical stores internationally?